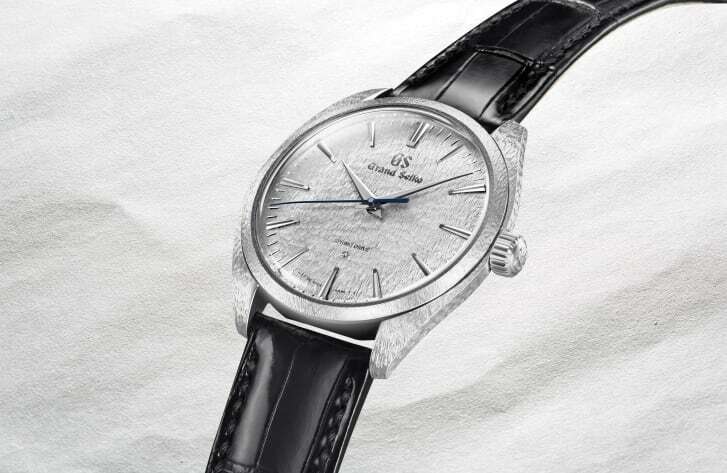 To mark two decades since the commercial launch of their Spring Drive movement (a limited edition Credor in 1999) this year Seiko have announced a mini collection of new watches under the Elegance Collection called the Grand Seiko Spring Drive Thin Dress Series. Seiko’s Spring Drive technology has been featured on Horologium before but you can read more about the ‘hybrid’ mechanical-quartz Spring Drive movement at the brand’s website at this link. The four watches that make up this commemorative series feature two new manual-winding Spring Drive calibres, all featuring the classic smooth seconds hand. They are the Calibre 9R02 and the Calibre 9R31. Both feature the +/- one second per day accuracy for which the Spring Drive movements are known. The Micro Artist Studio made its debut with Grand Seiko in 2016 via the 8 Day Power Reserve Spring Drive watch. The new Calibre 9R02 features two mainsprings set in parallel within a single barrel and uses their patented Torque Return System and a power reserve of 84 hours. The two models ((SBGZ001, SBGZ003) that contain the Calibre 9R02 have platinum 950 cases that are 38.5mm in diametre and 9.8mm thick. They have a water resistance of 3 bar and come on matching Pt 950 clasps for their crocodile straps. Both have 14 carat white gold hour/ minute hands and markers. 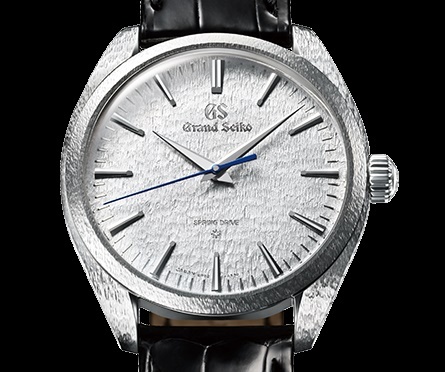 The Grand Seiko branding, minute markers and all the other markings are etched into the dial. The power reserve indicator is visible through the sapphire crystal case back, next to the barrel whose shape echoes that of the bellflower that is the symbol of Shiojiri, where the studio is located. You can see the same bellflower in this post on the Eichi II. One of these two watches (SBGZ001) is a limited edition (thirty pieces) design revolves around the ‘Snowflake’ dial inspired by the winters of the Shinshu region, with the pattern continuing to the hand-decorated platinum case. ‘Micro Artist’ is engraved on an 18k gold plaque set on the lower bridge, to acknowledge the Studio in which it is made, but there is an unexpected option – you can ask for your name to be engraved on it instead. 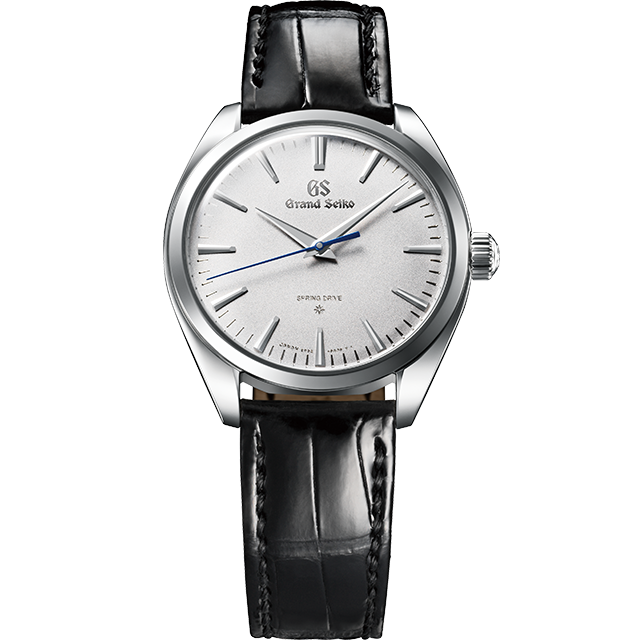 It will be exclusively available via Grand Seiko boutiques. The RRPs are 78,000 EUR for the SBGZ001 and 58,500 EUR for the SBGZ003. The second duo of new pieces contain the new Spring Drive Calibre 9R31, which has the same dual mainspring structure as the aforementioned Calibre 9R02 and a power reserve of 72 hours. The first of these two has an 18 carat gold case and features the ‘Snowflake’ dial, whilst the second comes in a stainless steel and has a sunray decorated dial. 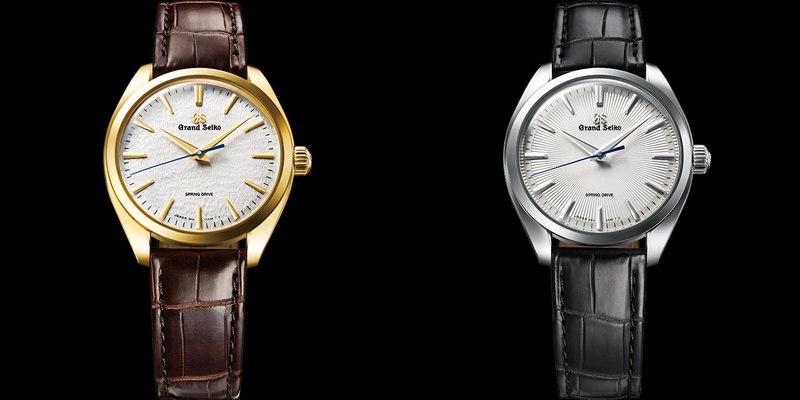 The SBGY002 comes in an 18 carat gold case and the SBGY003, a stainless steel one. At 10.2mm, they are slightly thicker than the first two mentioned models, but the case size is the same. They have the same 3ATM water resistance as the other two models and also come on crocodile straps with metal-matching clasps. The RRPs are 27,000 EUR for the SBGY002 and 8,200 EUR for the limited edition (700 pieces) SBGY003. This series of four new models will be available at Grand Seiko boutiques, Seiko boutiques, and selected authorised dealers worldwide from July, 2019.